Ugh - what is going on?? I have never been knocked out with a cold for such an extended period of time. Usually, it's a tickle in the throat or a cough here and there but the past 3 days, I was stuck in bed, completely unable to move. I was sleeping in 5-6 hour blocks with a box of tissues next to me and a mountain of tissue wontons (dirty phlegmy tissues as I like to call em). My hubs took great care of me, making sure I had my liquids stocked ... a cup of honey, warm water, tea and David's Tea Cold 911 - bleeeeech. still not feeling 100%, hope this doesn't drag out to the long weekend. 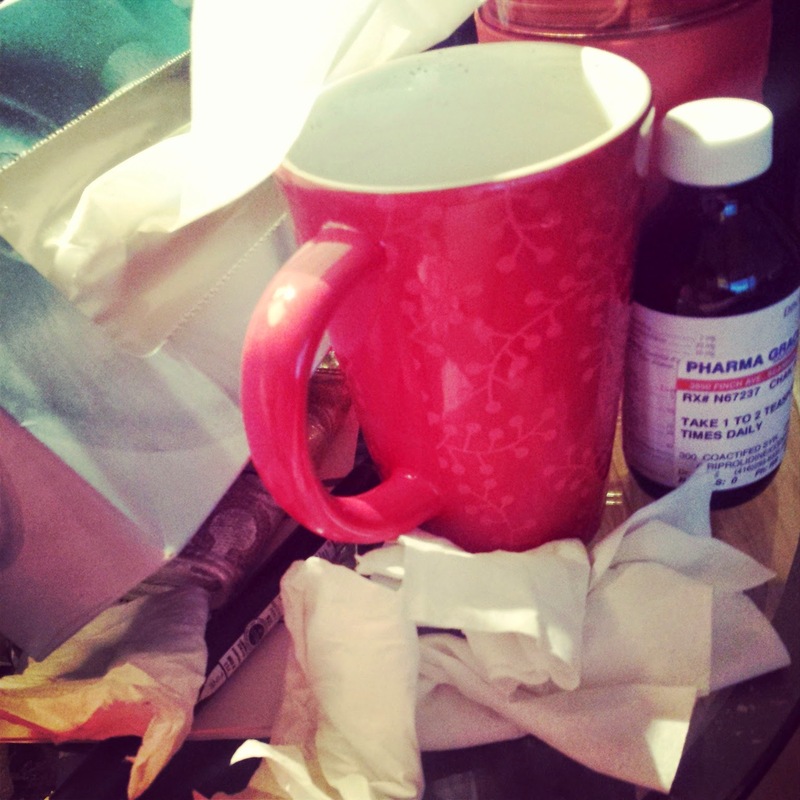 Somehow, I always get sick before the long weekends and I never get to enjoy them.. BOO!